Sports as I would like to think is the main thing that i can consider as Leisure activity, Regalement and Excersize similarly. This video shows such an awesome amusement and audit about Paramotor - Paraglider RC - New Clip Launch product http://www.jinxkiller.com/jonnypilot. I`m beyond any doubt it will on fire our internal soul for game, possibly for our best player, group or just with games. In any case, I trust we can make brandishes as a regular routine in our lives for a superior wellbeing and mentality. I`m not so energetic but rather i guess games can make us strengten all sort of bonds and cognations. 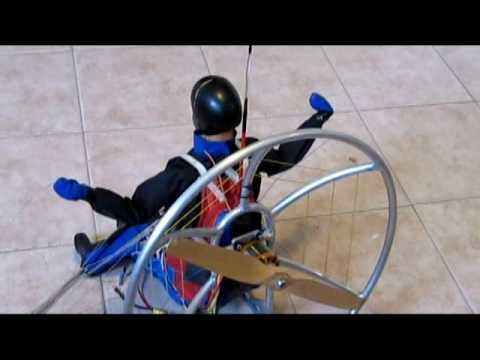 Enjoy Free Download Paramotor - Paraglider RC - New Clip Launch product http://www.jinxkiller.com/jonnypilot mp4 mp3. This is such an awesome video! Paramotor - Paraglider RC - New Clip Launch product http://www.jinxkiller.com/jonnypilot video is transferred to speak to Sports purposes. It is a video caused by the uploader with such an awesome exertion and have the craving and commitment to benefit you or inform you about this. Moreover would like to add to your enthusiasm under Enlightenment and I trust the two of us delighted you. There are 208,510 and 37 (Thirty-seven) watchers who left their remarks so i guess it was such an interesting video. The camera was running as I launched from Mingus in 2013 without being buckled into my harness. Rather than sweep this mistake under the rug, I wanted to put this video out in hopes that it may keep some other pilot from making the same mistake. As hard to believe as it may be, my harness was hooked to the glider, but I hadn't buckled myself into it... I was only zipped in at the chest. I had even done a hang check and thought I was good to go. I cover all that in the video in hopes that it may be helpful. Comments are closed due to spamming. Glad to get emails. Address is at the end of the video More detail on the checklist system: Dan Schroeder's system (a fellow AZ Mingus pilot) was based on the idea that if the Final Checklist was somehow ALWAYS dangling in front of you when you were hooked in just prior to launch, then you had less chance of forgetting to go through the Final Checklist just before launching. He had a small quick-disconnect (like you see on some car key rings) that was diaper-pinned to side of the main sail zipper fabric out near the nose of the glider. The lower half of the quick disconnect (which was obviously removable) trailed the same bright red streamer and plastic card that you see in my video. The hard plastic card has a hole cut in it right at the very edge of the card, with a slit cut between the hole and the edge of the card that allows the card to be bent and the hole to be opened temporarily. This slit allowed the card and wound-up red streamer (when detached from the quick-release) to be clipped (muscled) onto the harness carabiner, where it hung for the flight. When unhooking from the glider after the flight, the pilot is reminded of the card because it's right there on the carabiner. The pilot would right then remove it from the carabiner and re-attach it via the quick-disconnect to the other half of the quick-disconnect that was still diaper-pinned to the main zipper. Then, with the card once again dangling near the nose with its bright red streamer, the card is folded up with the glider and is once again dangling for the next flight. A great system I think, because the card is "always" dangling right in front of your face when you are hooked in to the glider prior to launch. If the pilot doesn't notice it (tough not too!) then launch assistants probably would, thus reminding the pilot to go through the final checklist. I changed the setup a bit and prefer the card to be permanently tied with a simple knot to an existing brass-grommeted hole in the sail under the nose cone because 1) It's never detached during the flight process so I can't lose it, 2) When stowed under the nose cone it doesn't compromise the aerodynamics of the glider by flapping around on the carabiner 3) It's still dangling in front of me before every flight, without fail 4) I can easily reach it, review it, and stow it while fully hooked in and prepared to launch. 5) I velcro my nosecone on during preflight when I temporarily have full VG. With this system I don't have to un-velcro the nose cone in order to stow the card, since the card has its own velcro and simply slides under the nosecone and sticks to the velcro I place on the back side of the nose cone.. NOTE: If, once you have reviewed the final checklist and stowed it under the nosecone, you decide to unhook from the glider for any reason, you need to be sure and pull the card from under the nose cone and let it dangle once again. Dan disagrees with my revision to the system because he feels that during this scenario, if the card was hooked to the carabiner instead of stowed under the nose cone, the pilot would see it there when temporarily unhooking and would move it from the carabiner to the hanging position, so that when the pilot returned to re-hook in the card would be dangling. He feels there is a very high rate of unhooked launches due to being hooked in and then unhooking temporarily and then forgetting to re-hook in when launching. This is a good point and something you should consider when deciding whether to attach the final checklist to the nose of the glider or to the carabiner. Oh, before I forget, 2 important things about the contents of the 2 checklists: 1) Ensure that the first item on the Final Checklist card is "Pre-Flight Checklist Completed" or something like that. 2) Ensure that one of the items on the Pre-Flight Checklist is "Final Checklist Card is Dangling from the Glider" or something like that. In summary, having the checklist anywhere that works for the pilot is much better than no checklist at all.... the idea is to find a method that ensures the pilot is reminded to use the card on every flight. Dan feels strongly that he has investigated all the options over many years and the carabiner clip method is the most fool proof. I gave all the detail above because I want everyone to know the thought process behind this checklist system, so they could consider those points as they decide what works best for them.